The Norris School District consists of 230 square miles serving the communities of Roca, Hickman, Firth, Cortland, Panama, Princeton, Holland, Cheney and Rokeby. The school system is divided into four schools all accredited by the Nebraska State Department of Education and the North Central Association. 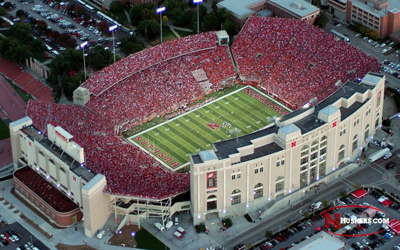 The University of Nebraska-Lincoln is the state’s oldest and largest university in the University of Nebraska System. Doane University, Concordia University and Southeast Community College are also higher educational options in Eastern Nebraska. Hickman is within Lancaster County making it part of the Lincoln, Nebraska metropolitan area, the second-largest metro in the state. A small-town atmosphere, excellent quality of life and outdoor beauty make Hickman, NE perfect for a wide range of lifestyle property. The state capital of Lincoln and first-class conveniences are just a short drive from Hickman. Bryan Health, CHI Health St. Elizabeth, Bryan LifePointe and Haven Manor are major medical and assisted living facilities serving residents of Hickman, NE and Lancaster County. Reverend C.H. Heckman and Samuel Egger founded the community originally known as “Heckman.” The land was platted in 1872 after a station for the Atchison and Nebraska Railroad was accepted. When the plat was submitted to Lancaster County for recording, a misspelling led to the city being incorporated as Hickman in 1885. Wagon Train State Recreation Area covers 746 acres of land including a 315-acre lake. Boating, camping, fishing and swimming are popular activities at the park two miles east of Hickman. Stagecoach State Park provides outdoor activity in the Salt Valley with 195 water acres, 2 fishing piers, 2 boat ramps, campsites and 412 acres of hunting ground. Hedgefield Lake offers 44 acres of fishing for bluegill, bullhead, channel catfish and largemouth bass. Camping and boating are also allowed at Hedgefield. 325 acres of water recreation, camping and more are provided by Bluestem State Recreation Area. Hickman Hay Day features activities for everyone including a parade, marketplace, carnival and live music. WunderRosa Winery features wines for all palates, an 80x16 porch and tasting room. The winery is a perfect venue for special events such as weddings, birthday parties or reunions. Being on the Great Plains, the weather in Hickman isn’t influenced by mountains or large bodies of water. A highly variable four-season humid continental climate includes cold and dry winters and hot, sometimes humid summers. The area is subject to bitter cold stretches of winter as well as heat waves in the summer.